 New generations of visitors to Spirit Lake, West Okoboji Lakes and Upper and Lower Gar Lakes, known as the Iowa Great Lakes region, will enjoy cycling down the Iowa Great Lakes Trail. Formerly known as the Dickinson County Spine Trail, there are multiple options for outdoor recreation, food and refreshments along the way. The multi-use Iowa Great Lakes Trail is a safe place for residents and visitors to bike, walk, run, rollerblade and cross-country ski. Winding through charming rural communities as well as nature areas in the heart of the Iowa Great Lakes Region, the trail begins just north of Orleans and ends in Milford. The route follows the shorelines of Okoboji Lake and Spirit Lake, featuring beautiful, peaceful views of pristine water and wildlife. In the town of Spirit Lake, an interior loop trail connects residential neighborhoods, the hospital campus and more to the trail. Make a pit stop in the city’s downtown to explore the pedestrian bridge near the marina. Throughout the route, riders should expect to switch between multi-use trails to on-street bike lanes and sidewalks.